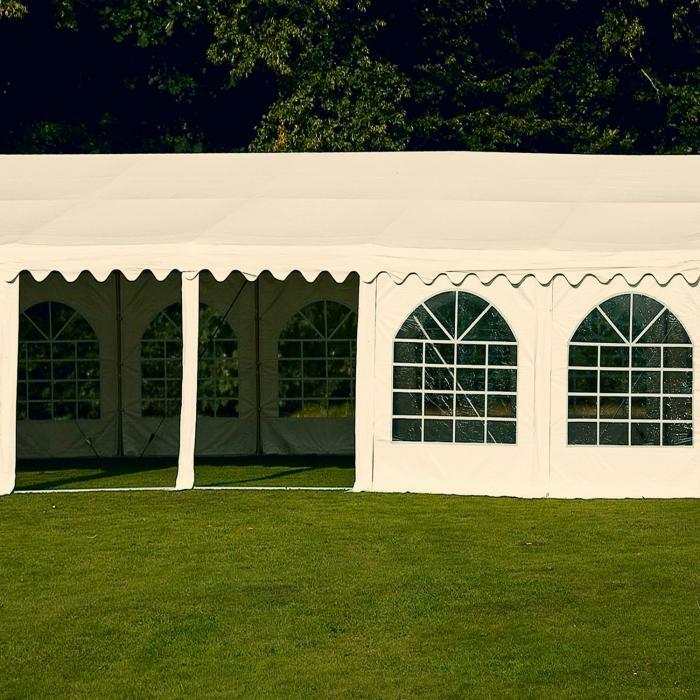 The interior of the 6 x 12 m party tent offers plenty of space and can therefore accommodate even large groups easily. Robust galvanised steel pipes with 38 mm diameter and a thickness of 1.0 mm give the Blumfeldt Summerfest a standing solid framework for a secure stance, even in strong wind. This is further supported by robust joints, metal as well as the supplied pegs and ropes for direct connection to the ground. 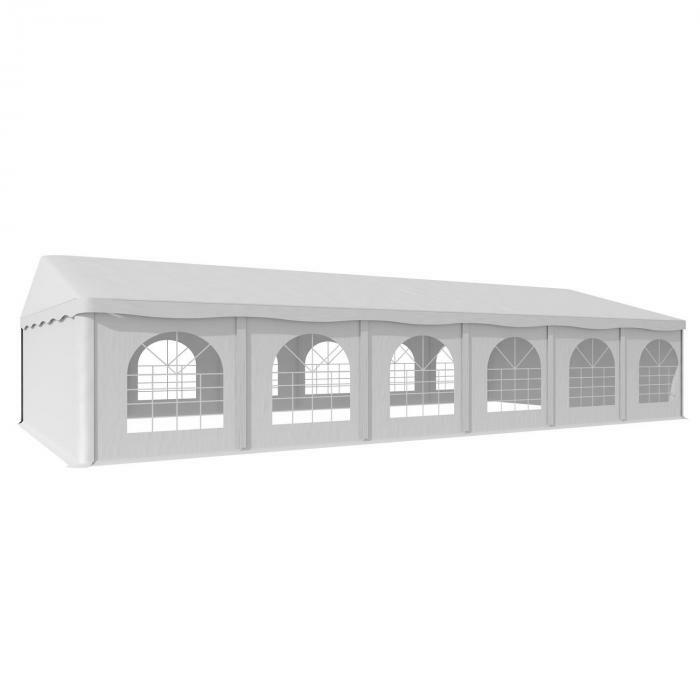 The material is made of resistant 500 g / m² PVC tarpaulin and is 100% waterproof, giving the pavilion a long service life. 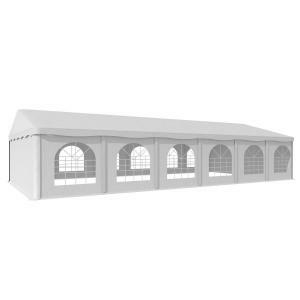 The sides of the tent feature large rounded windows, providing brightness in the interior and a discreet, protected atmosphere. Front, rear and side parts give simple, flexible access and allow you to completely open or close for fresh air.